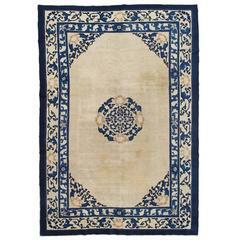 This carpet was woven in the city of Baotou, in what is now Inner Mongolia. The rugs produced in this region were known for their dense, plush pile, and the pictorial ones were particularly coveted. 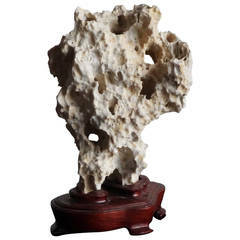 Images were chosen for a symbolic as well as decorative purpose. 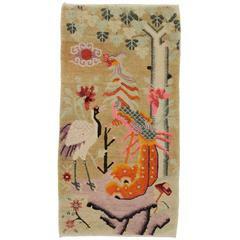 This one has a camel-colored background with a stylized stag and crane, representing longevity. 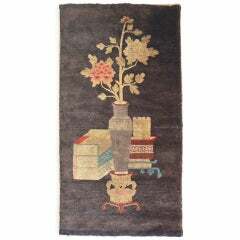 Beautiful antique Pictorial rug from china from the beginning of 20th century. 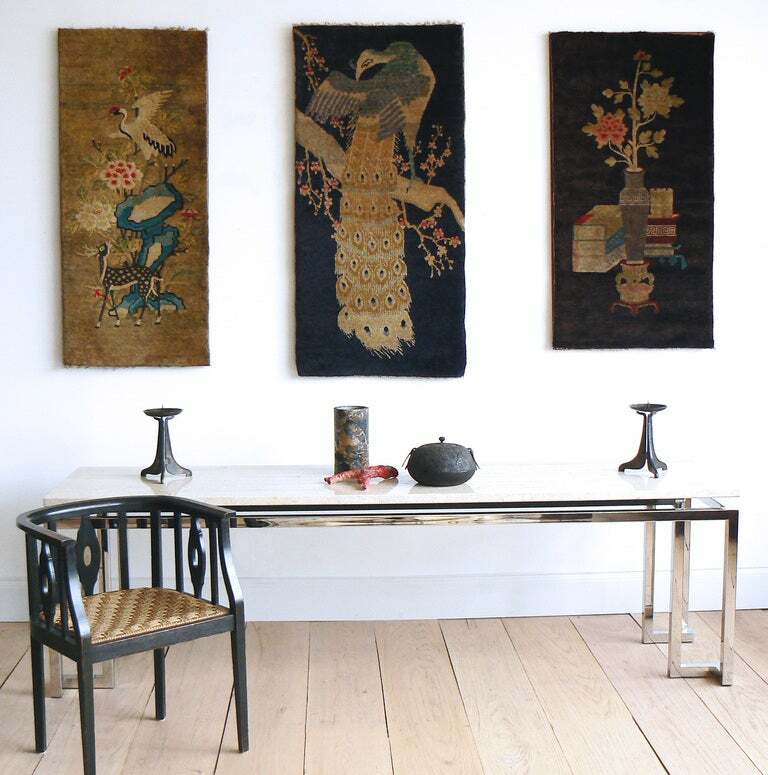 A 20th century Chinese Pictorial scenery rug. An early 20th century Chinese pictorial horses rug. Six blue horses flocking on a ivory colored ground. 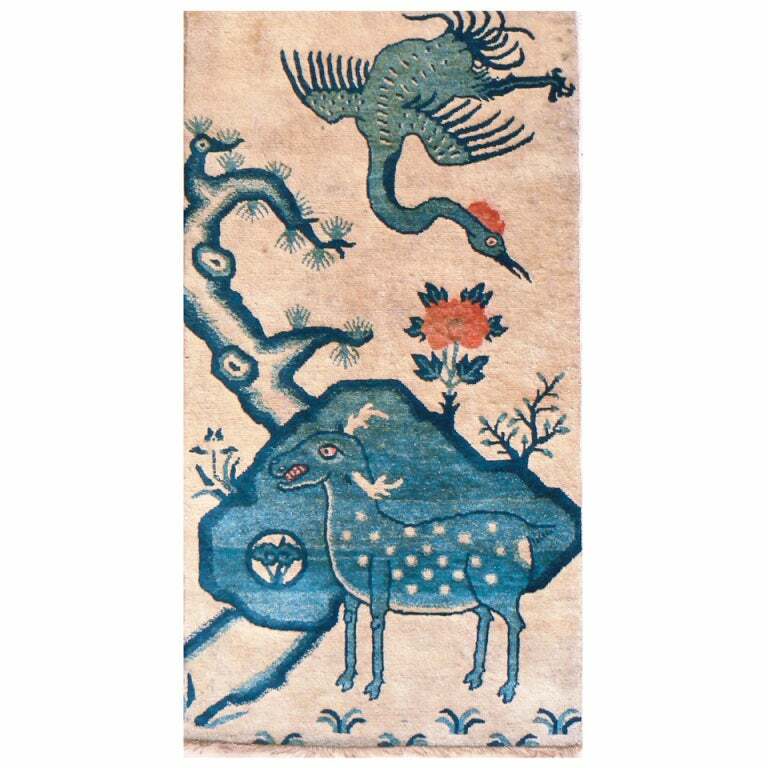 Chinese Peking pictorial carpet showing a deer in a peaceful landscape. Rich dark blue with a royal blue border, circa 1920.